As lead singer of Creedence Clearwater Revival, Fogerty penned some of the most iconic songs in rock and roll, including "Proud Mary,” "Bad Moon Rising" and "Fortunate Son." 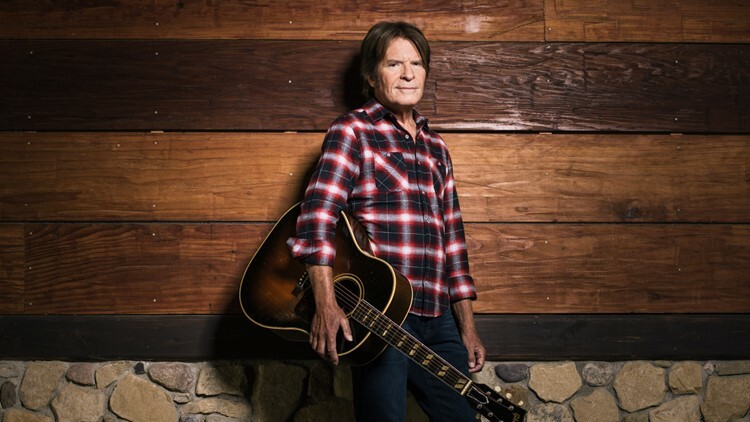 MORRISON, Colo. — Rock and roll icon John Fogerty is Colorado-bound this summer. The lead singer and guitarist of Creedence Clearwater Revival will make a tour stop at Red Rocks Amphitheatre on Thursday, June 20, 2019. Tickets for "My 50 Year Trip" go on sale Friday, March 1 at 10 a.m. at AXS.com or by phone at 888-929-7849 ranging from $50 to $100. An AXS presale begins Thursday, Feb. 28 at 10 a.m.
Fogerty has been inducted into both the Rock and Roll Hall of Fame and the Songwriters Hall of Fame. Creedence Clearwater Revival's songs "Have You Ever Seen the Rain," "Down on the Corner," "Proud Mary,” "Bad Moon Rising" and "Fortunate Son" are some of the most memorable in rock history. Fogerty will celebrate his 50th Anniversary in music with a world tour set to begin in the U.S. in April.